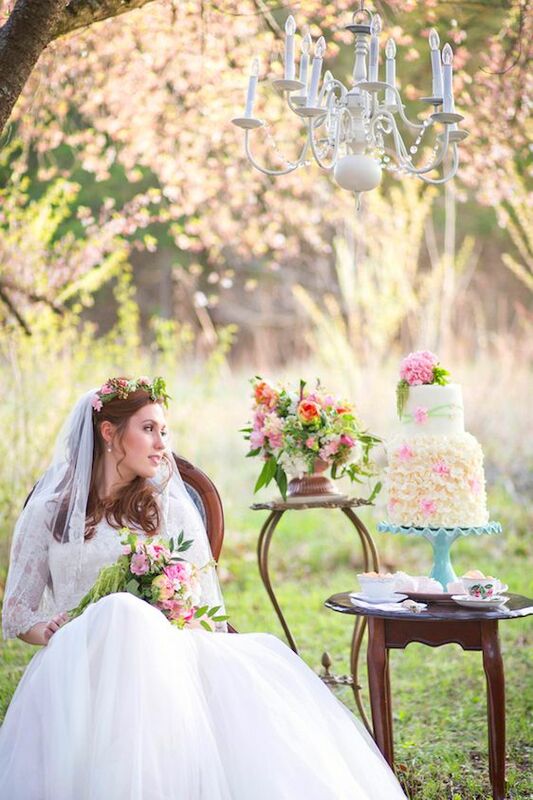 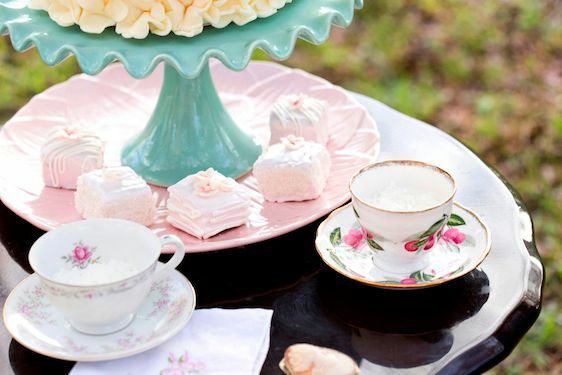 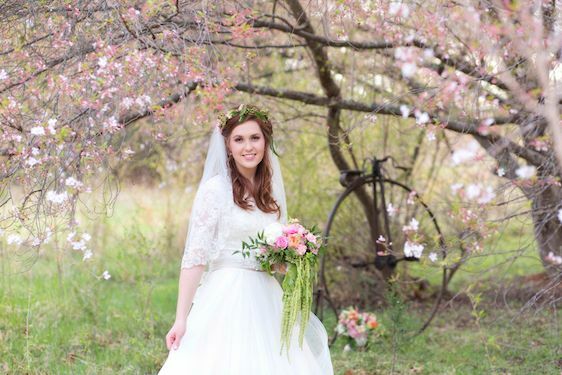 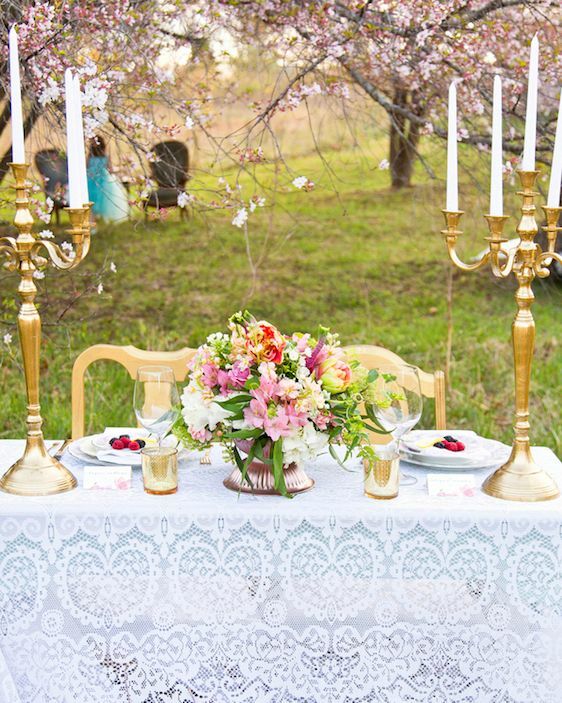 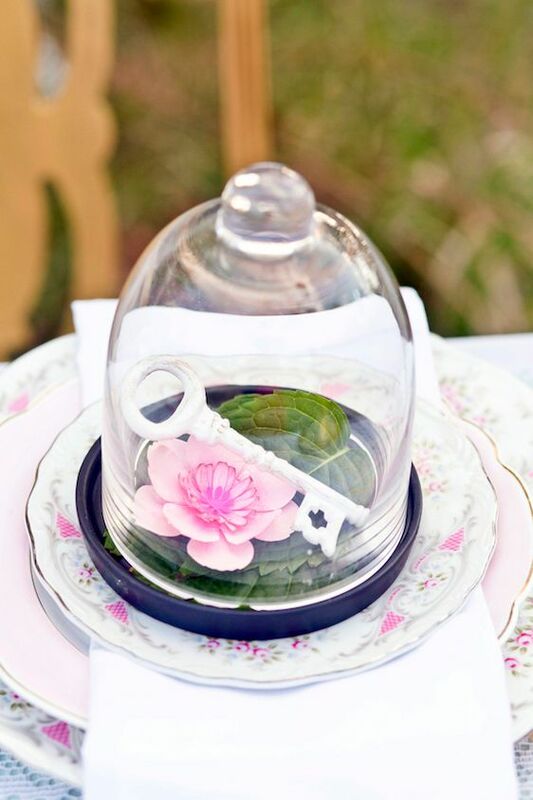 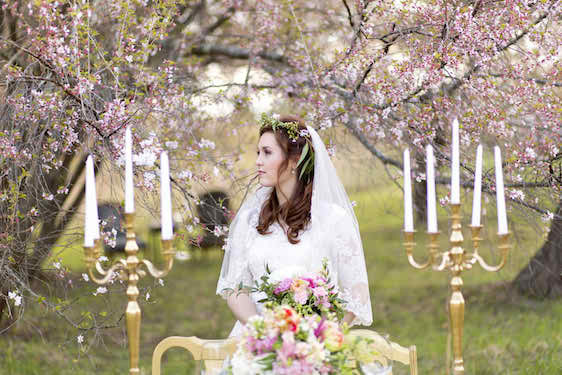 In a small clearing surrounded by cherry trees galore, Michelle Lieb of Lieb Photographic teamed up with friend, Abby Lenon to design this sweet and enchanting vision which was made complete with so many darling details. 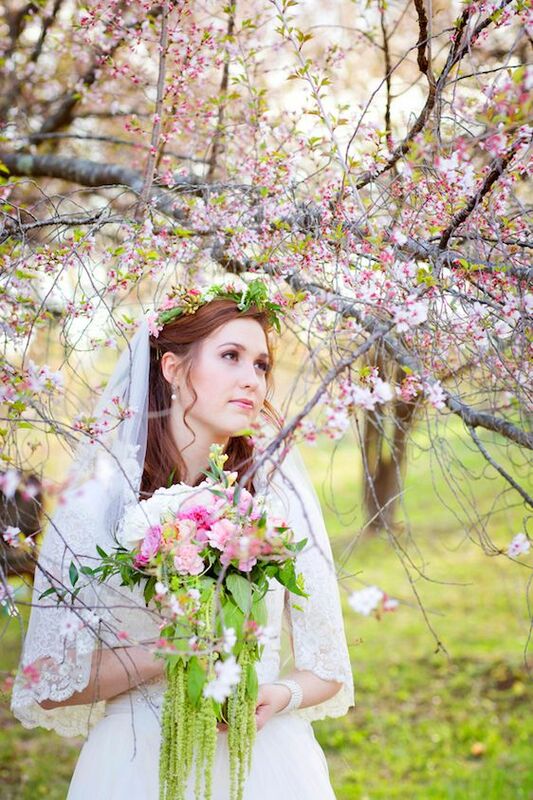 Oh, and did I mention that the timing couldn't have been any more perfect? 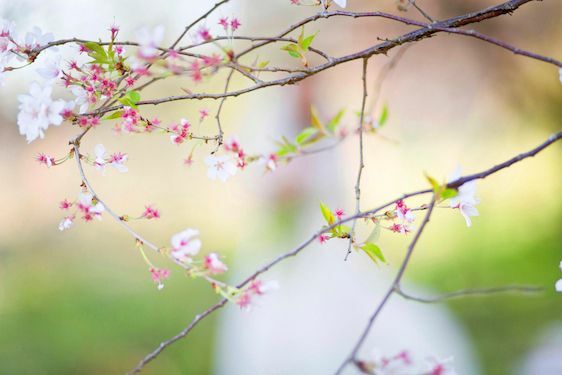 The blossoms were bright, and beautiful, and all kinds of vibrant on this day, but as fate would have it, a huge rain storm hit the next day sending the last of the pink remnants to the ground. 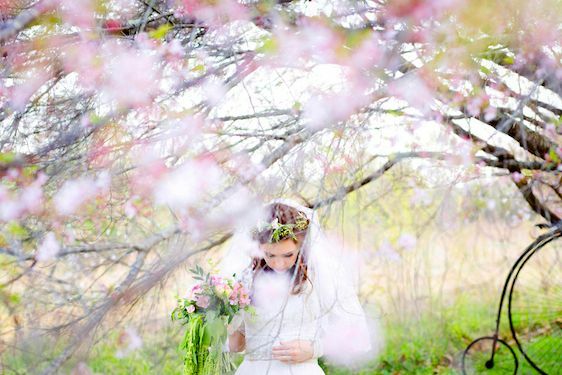 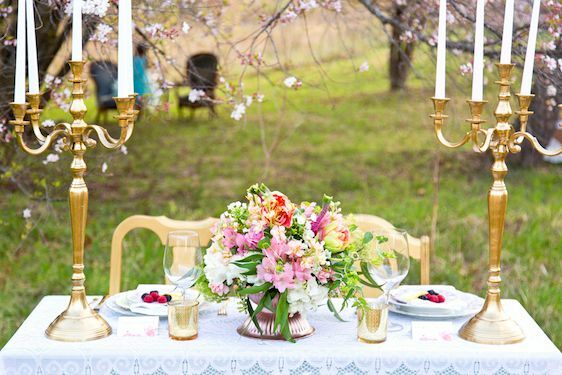 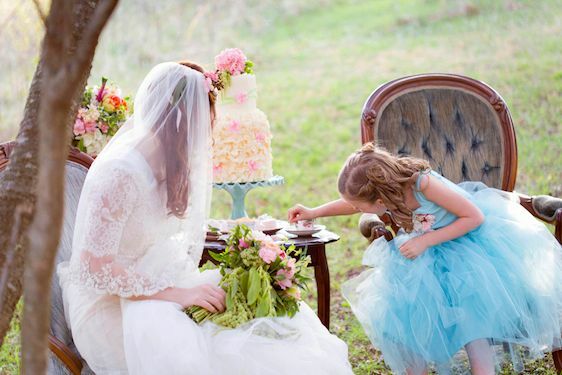 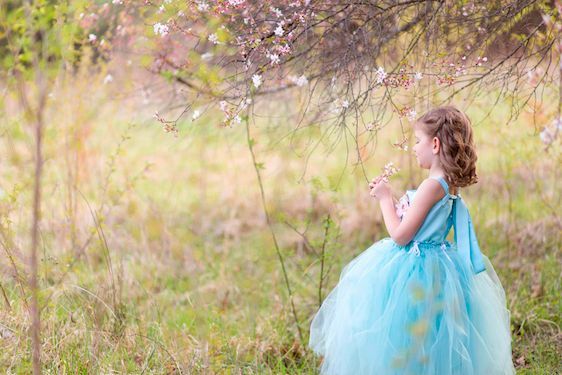 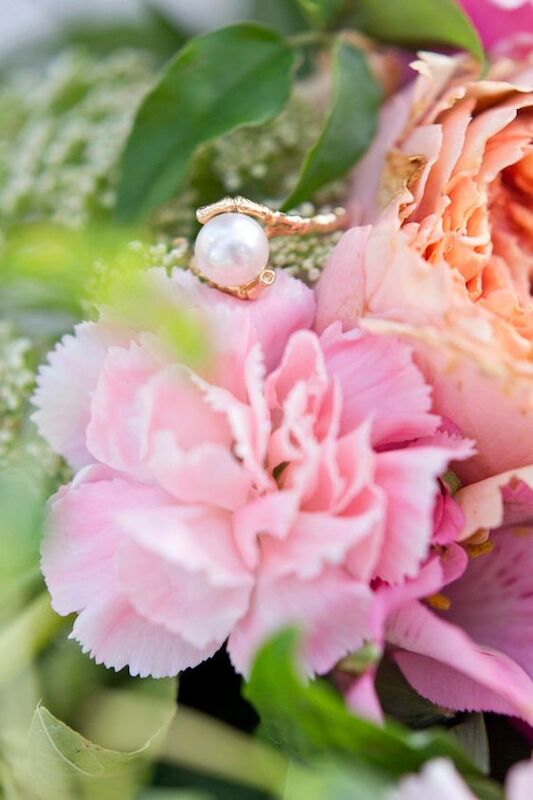 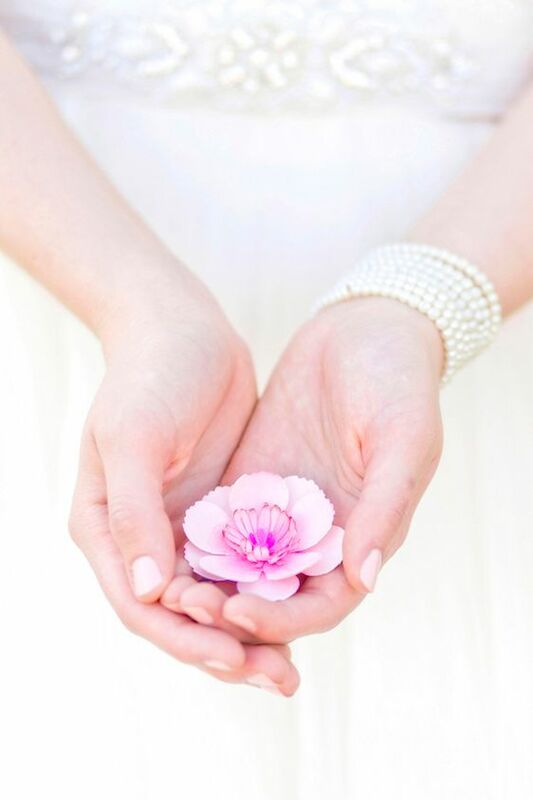 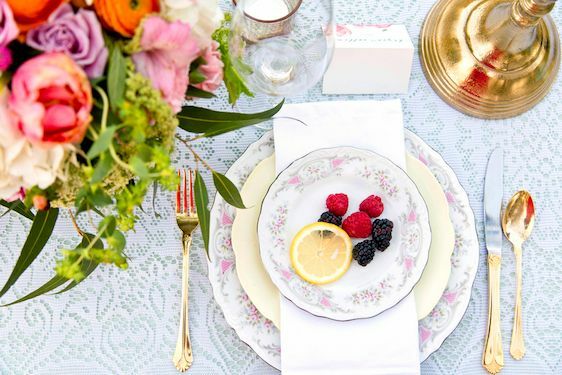 From the team, "We wanted to style an sweet shoot featuring a bride and her flower girl spending time together, preparing for the bride’s small wedding amongst the cherry blossoms." 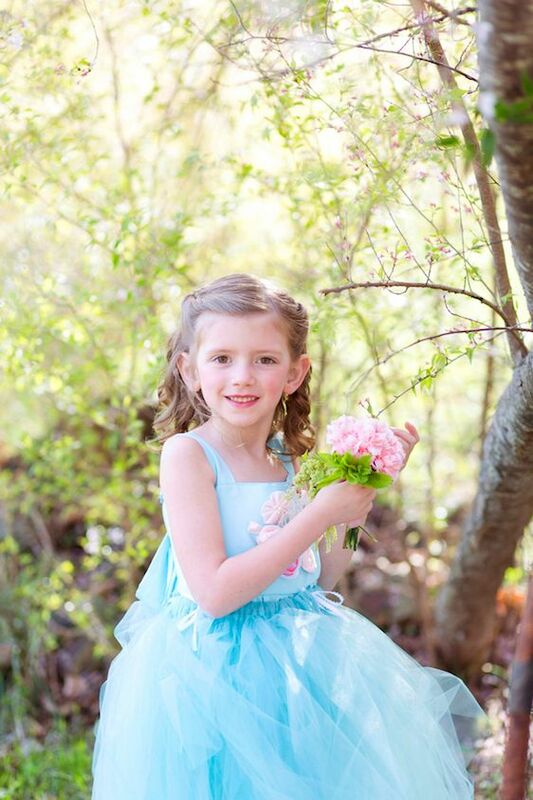 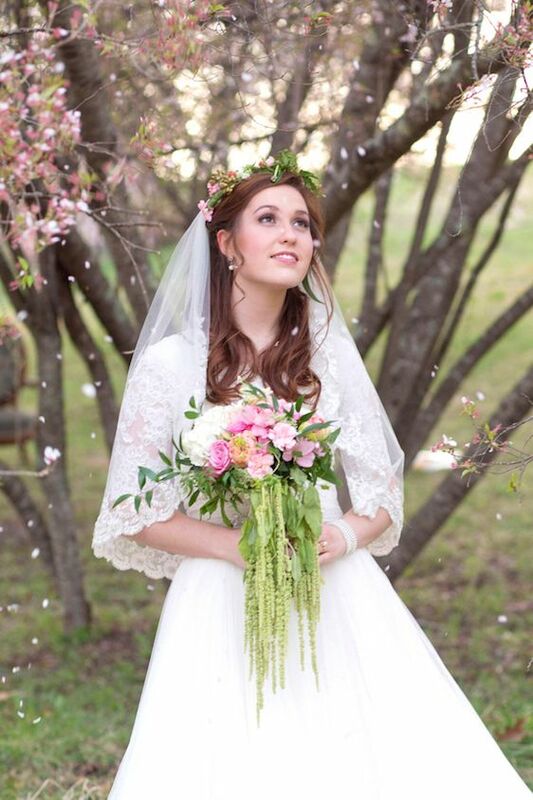 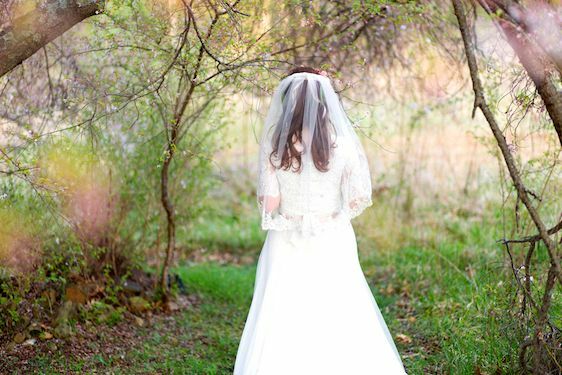 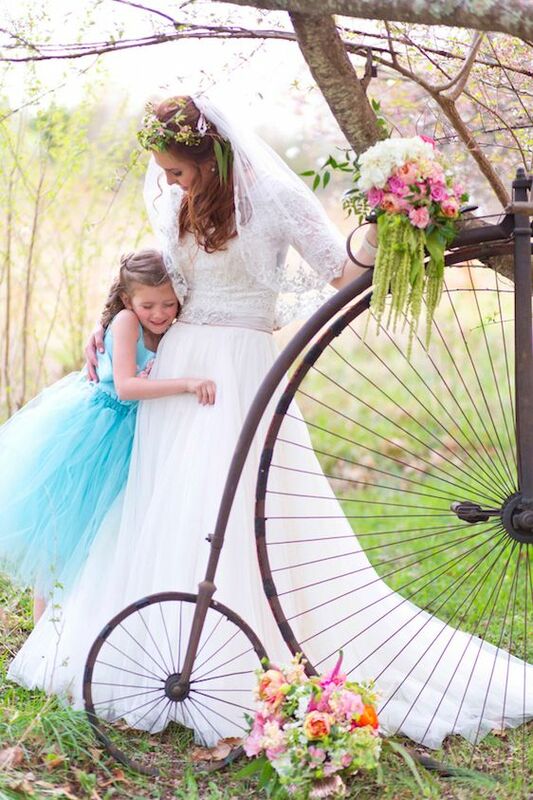 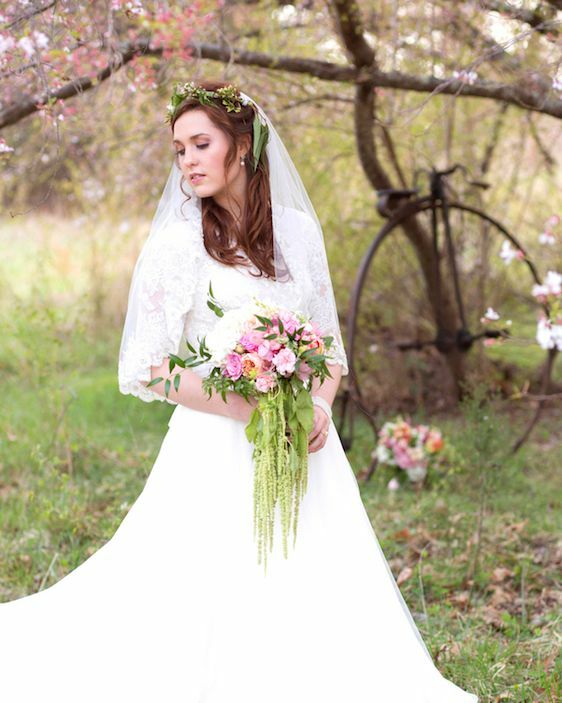 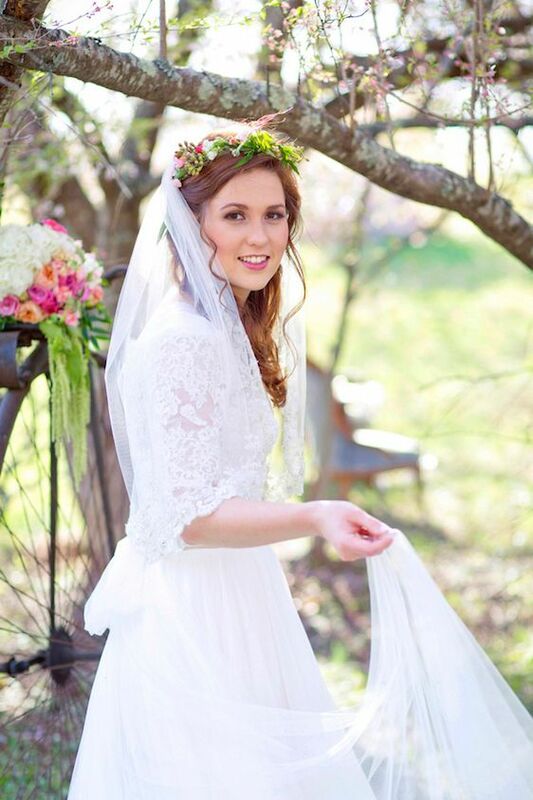 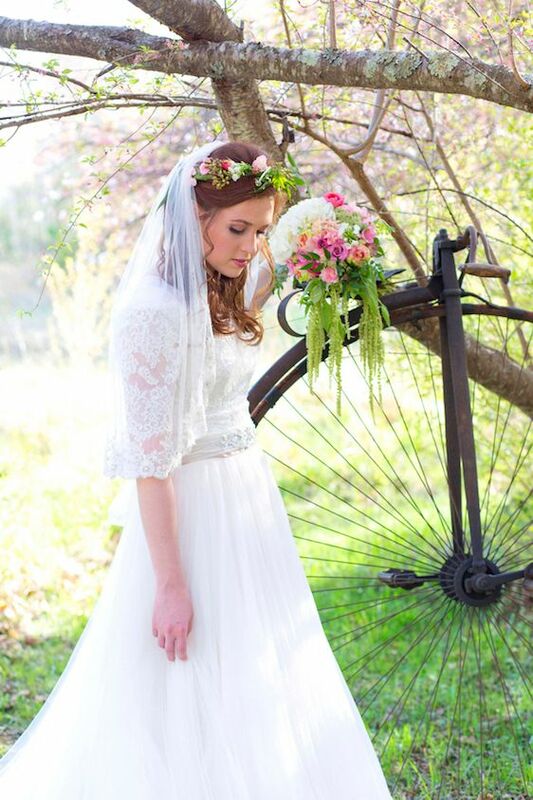 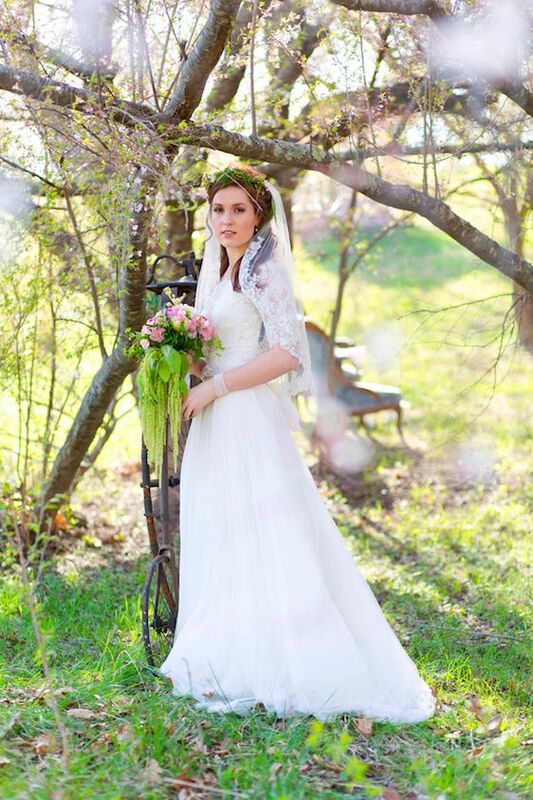 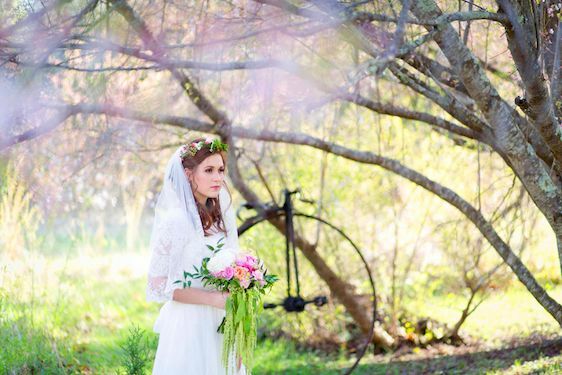 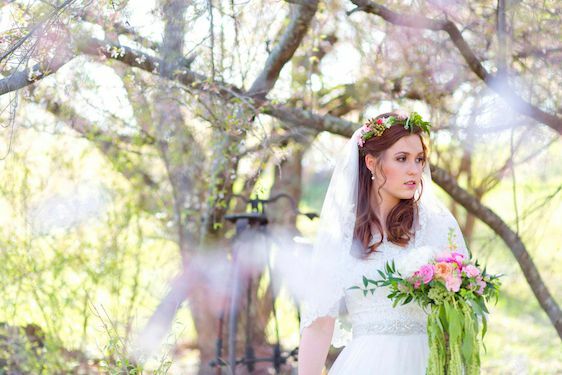 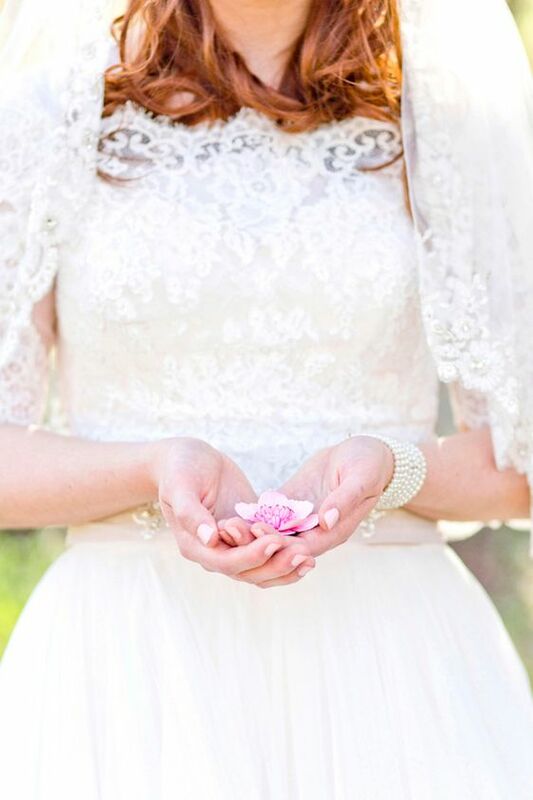 "The lovely Watters dress from Ava Laurenne Bride paired with a bolero, veil, and flower crown created the perfect look for the young bride." 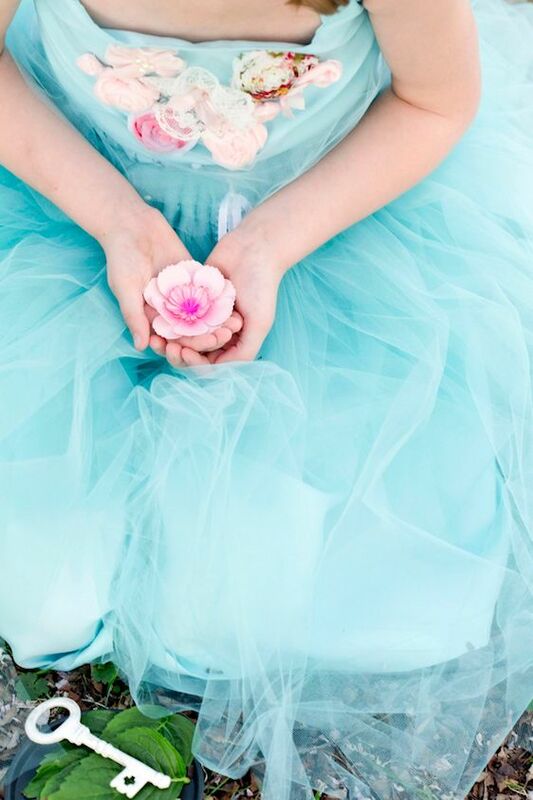 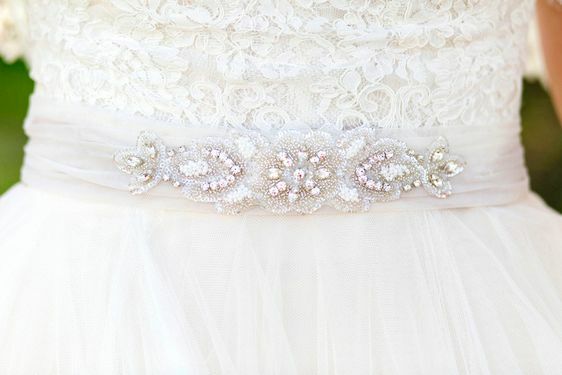 "...while the aqua and pink dress from Angels by Tara made for the perfect compliment to the bridal gown, worn by Abby’s daughter, Piper." 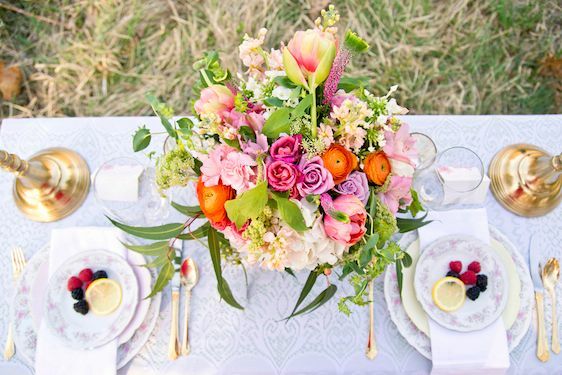 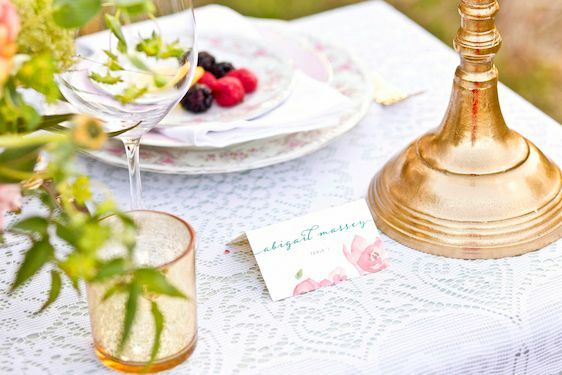 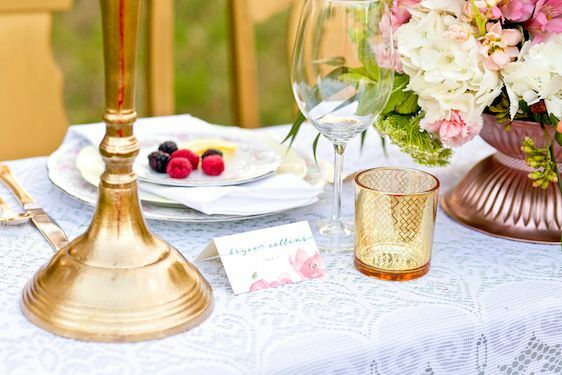 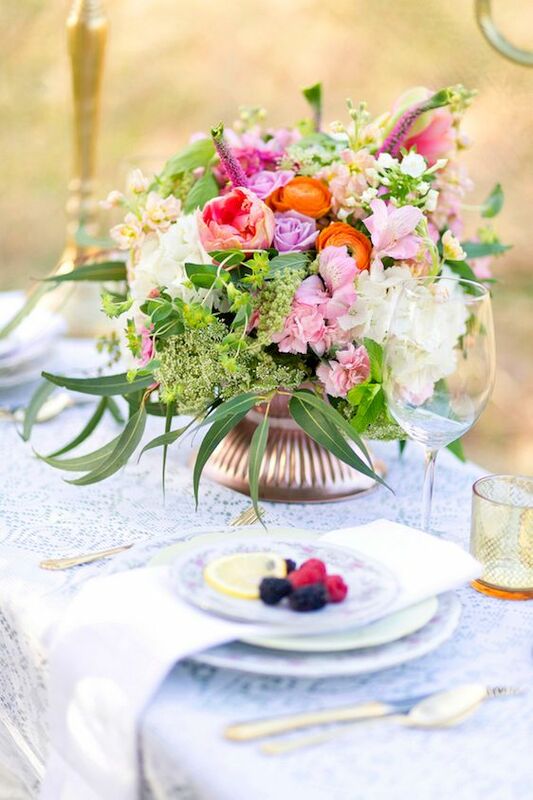 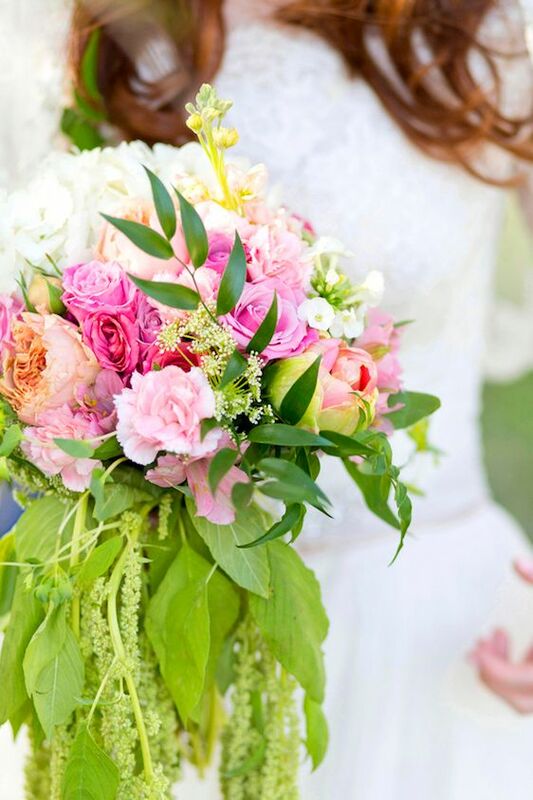 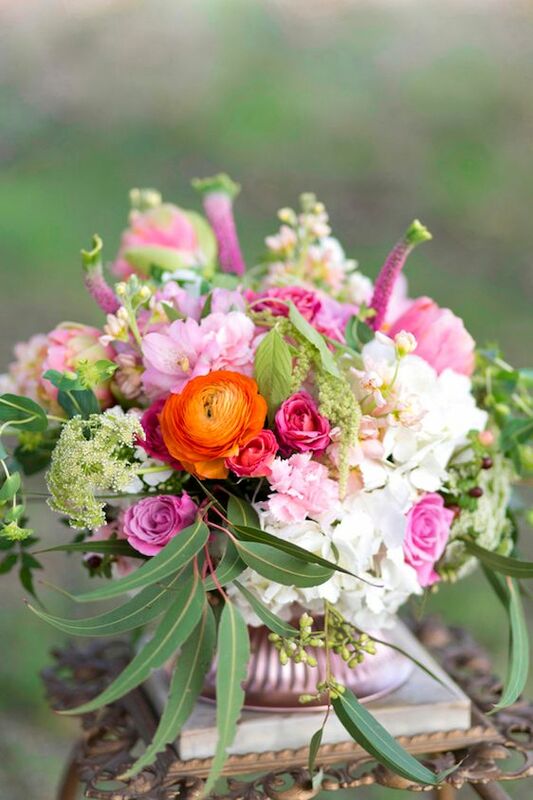 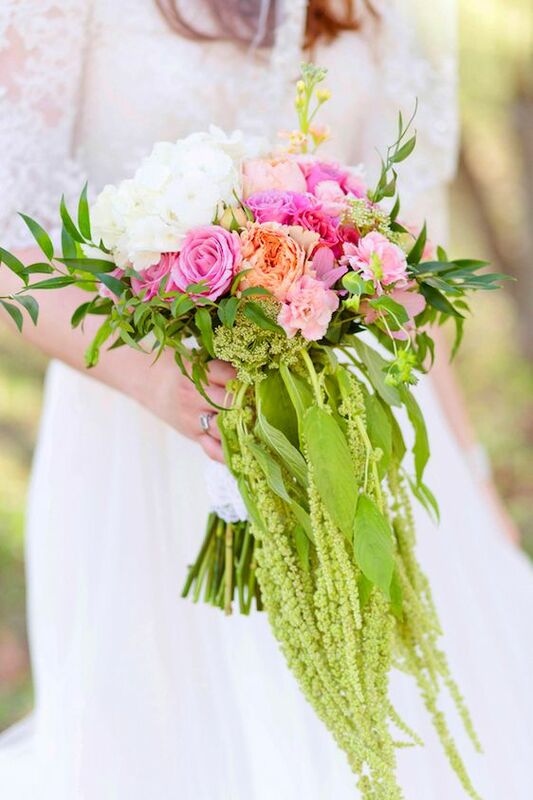 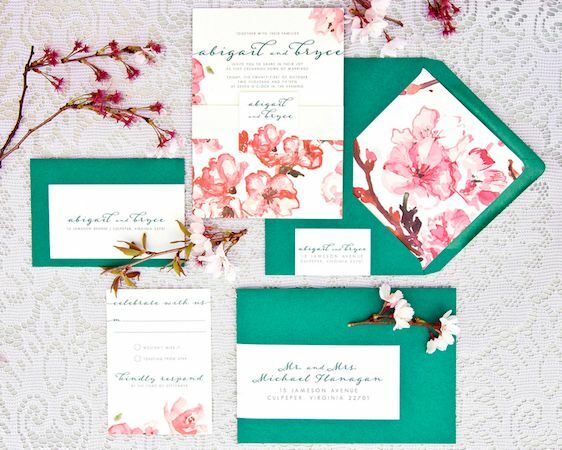 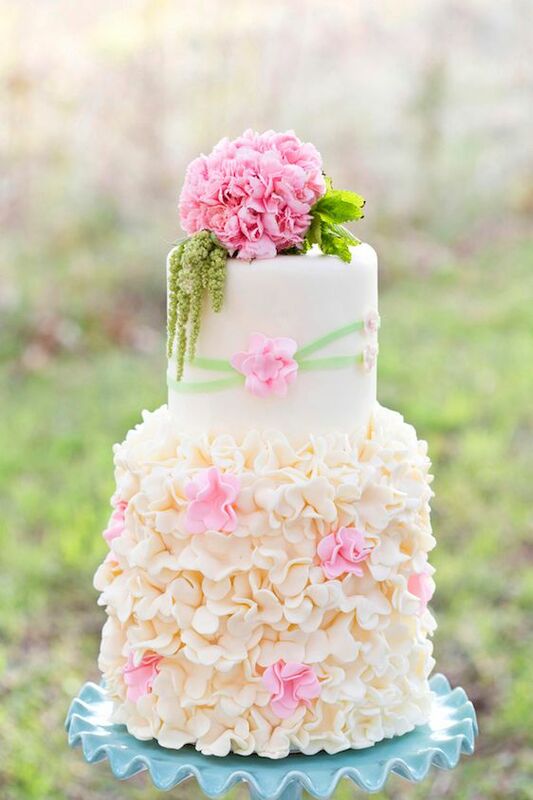 Floral design by Wedding Muse added so much color and I just love this suite by Chikpea Graphics! 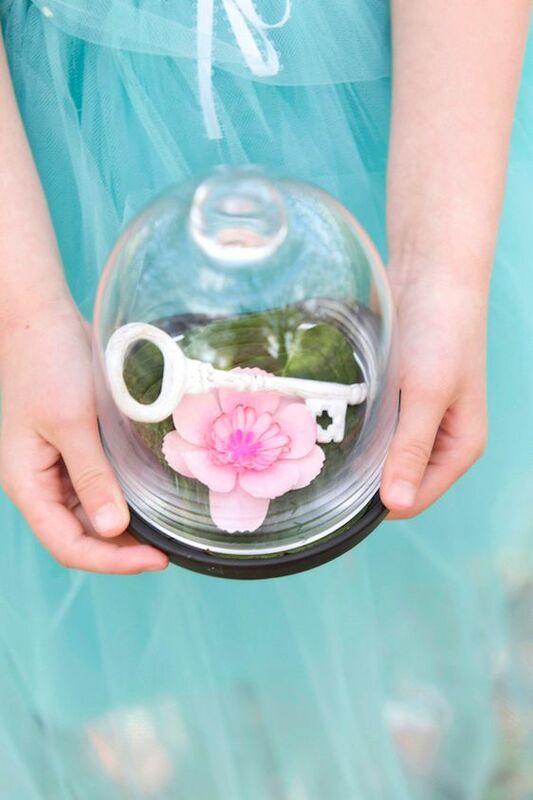 ...and with this handmade floral favor by Creations by DGB? 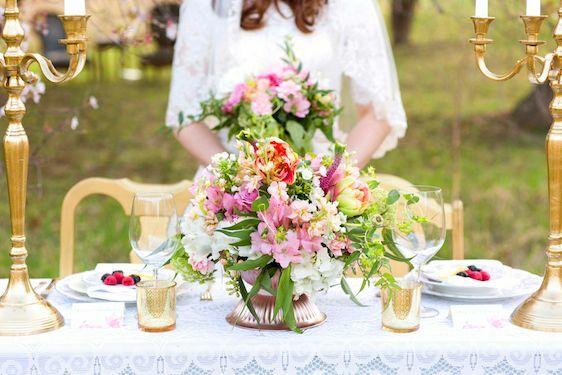 Let's just say that there was a whole lot to love in the floral department. 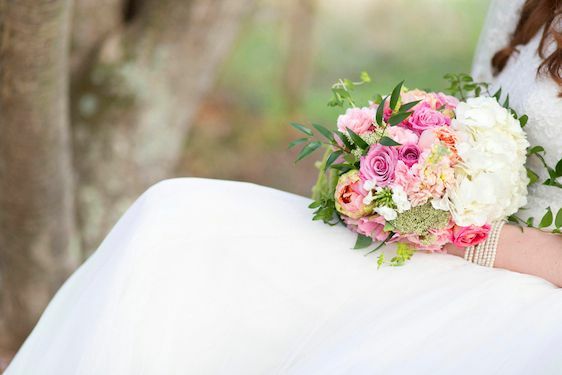 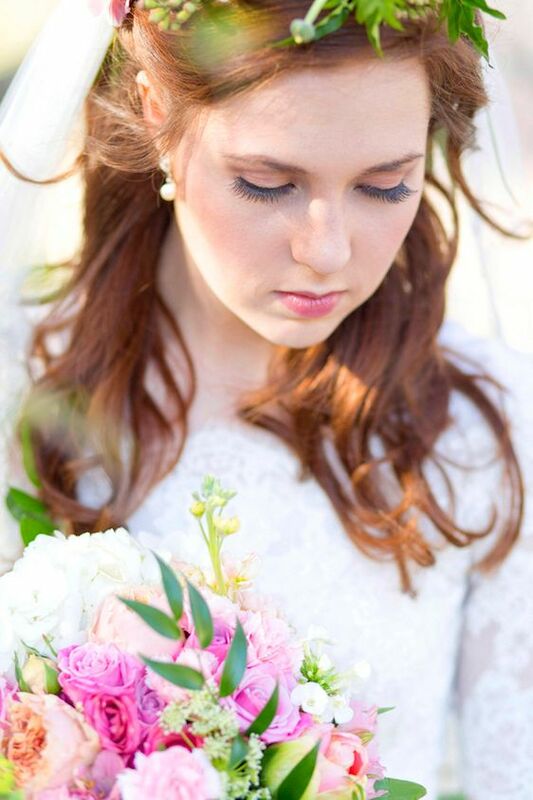 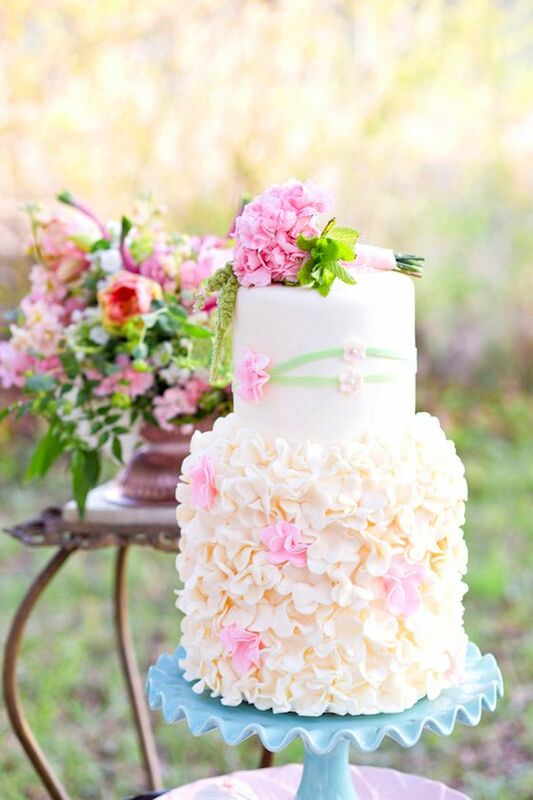 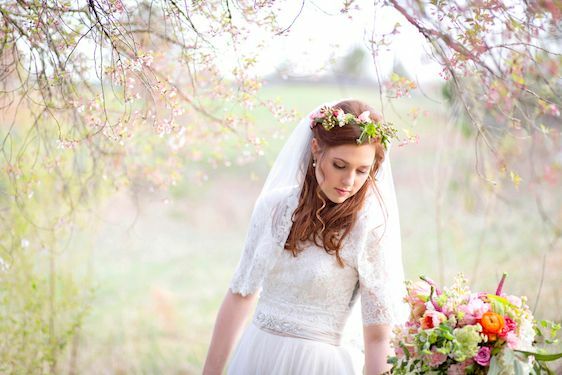 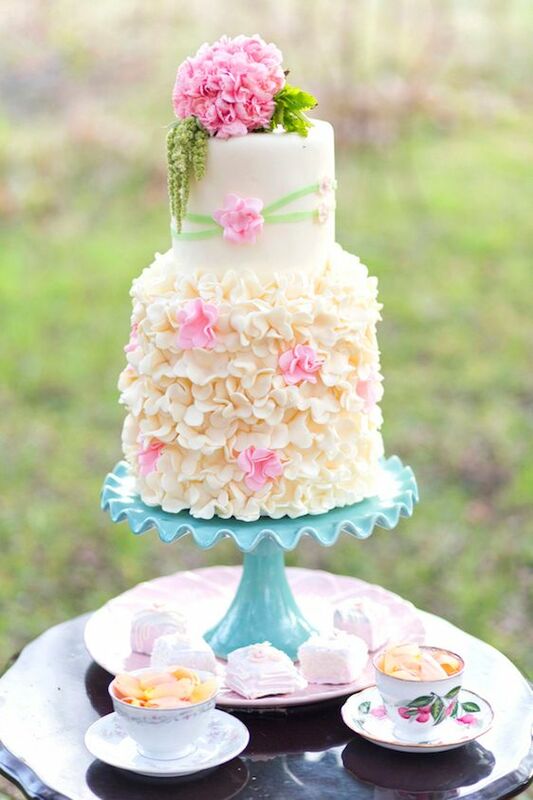 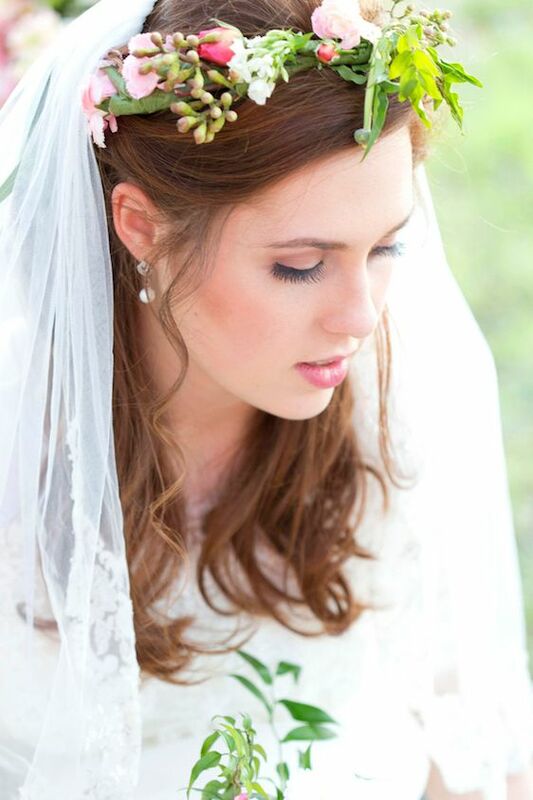 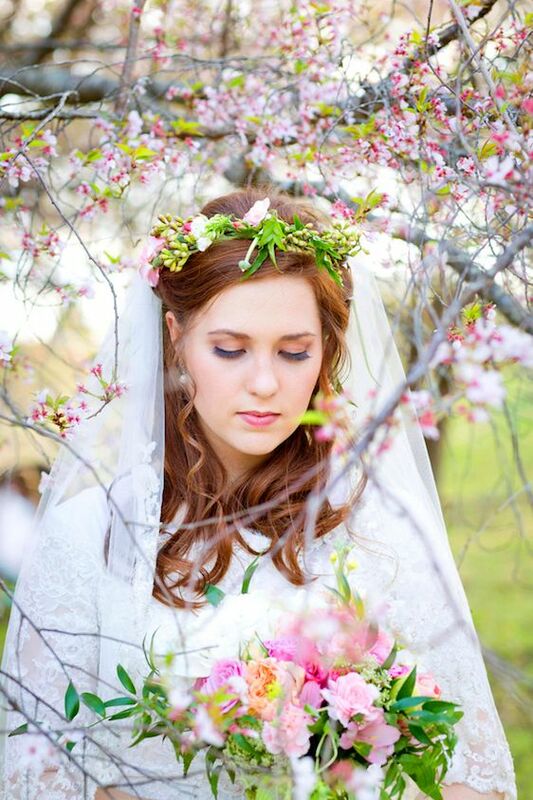 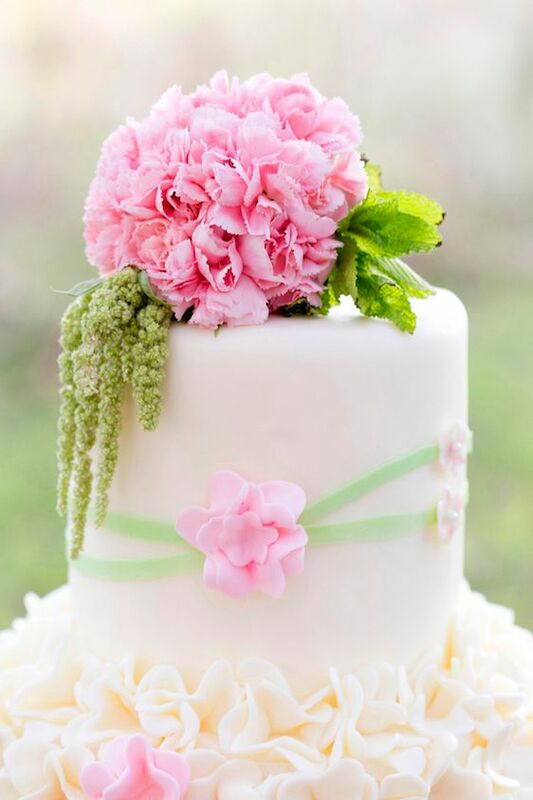 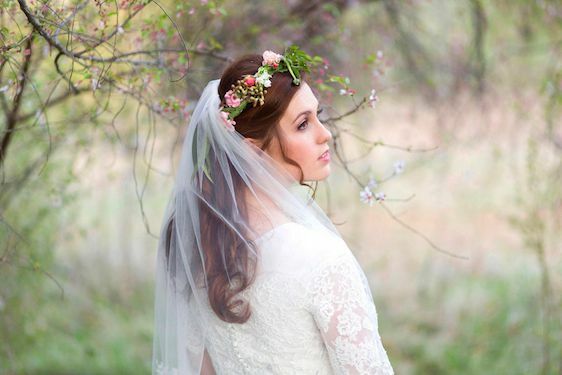 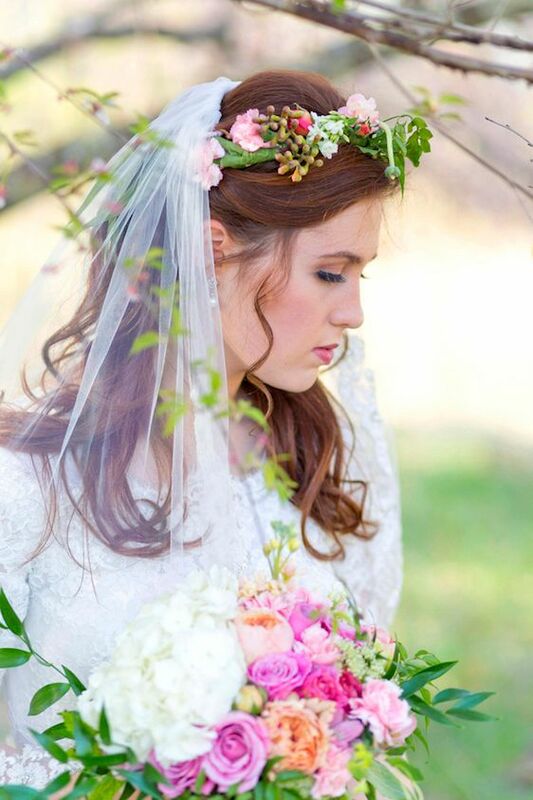 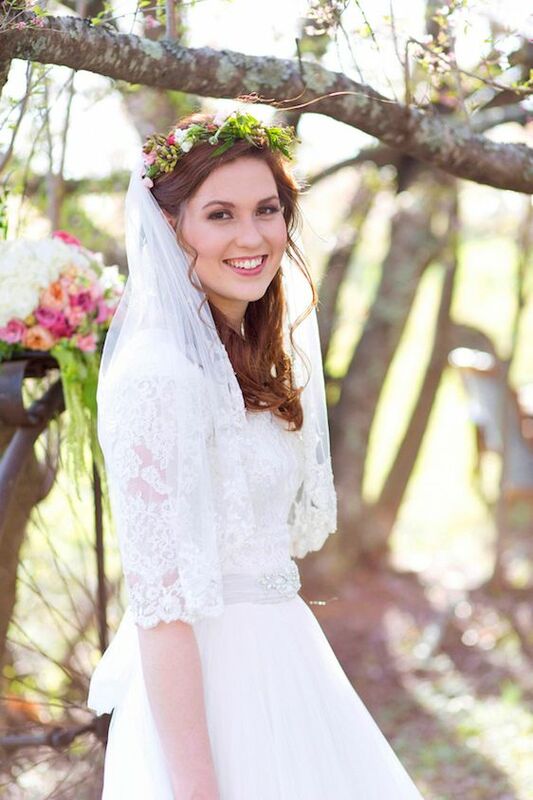 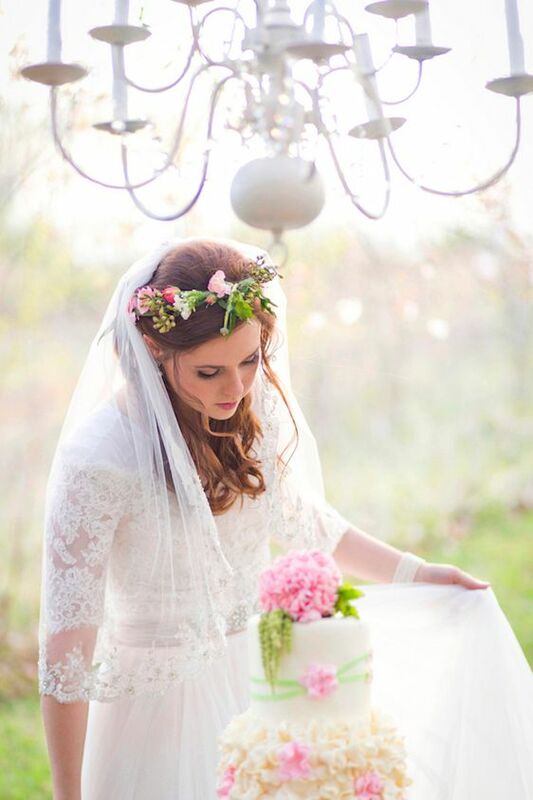 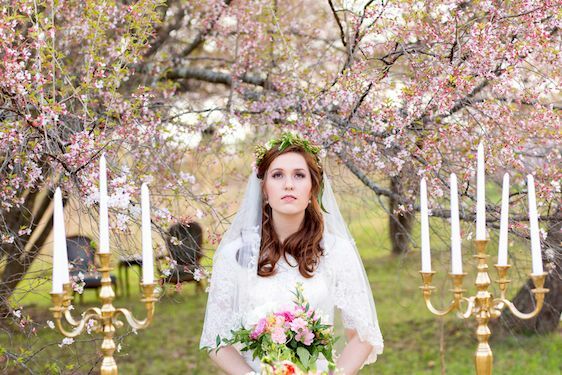 Oh, and what's not to love about a gorgeous floral crown like this one? 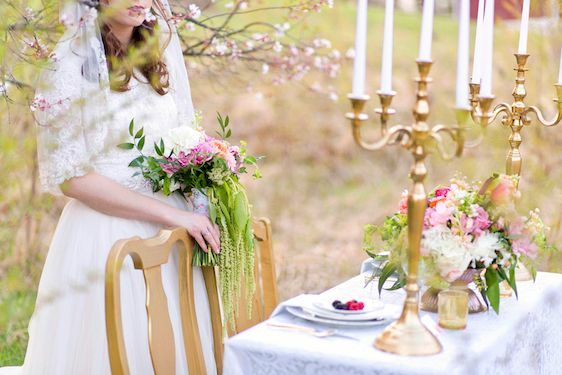 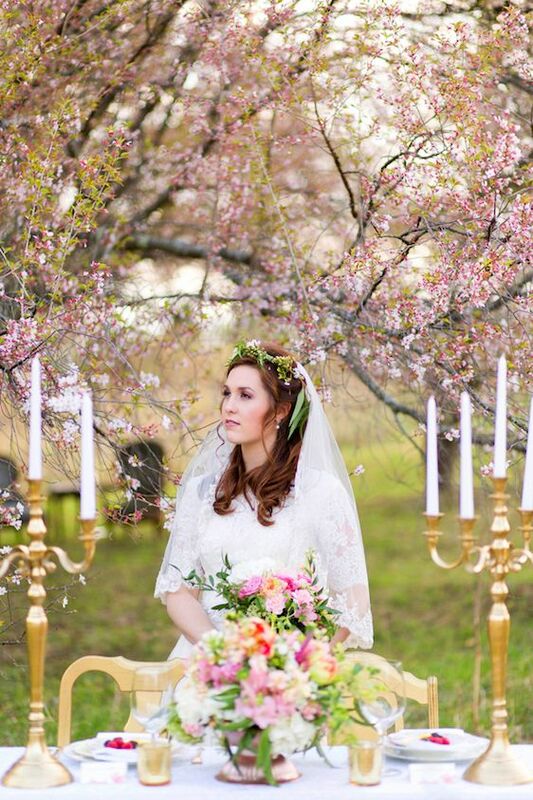 No Comment to " Wedding Whimsy in the Cherry Tree Grove "